When it comes to Airbnb cleaning one of the most important yet time consuming tasks is laundry. Especially bedding. It goes without saying that linens are washed after every guest, but how often should blankets, duvets and comforters be washed? Our experienced airbnb cleaners have some tips for you. Some hosts on TurnoverBnB wash their blankets every 2-3 weeks or after a long stay, while others wash them after every guest. In comparison to short term rental cleaners, hotel cleaners only wash comforters 4 times a year. While washing comforters and blankets is a good practice, it may be very time consuming when turning over a unit with only a few hours to spare. The best thing to do, according to our veteran Denver Airbnb cleaner, is to use removable covers on comforters and not bother with other types of blankets, comforters or quilts that take a long time to dry. Another tip from a Boston Airbnb cleaner is to keep multiple sets of comforter covers that the cleaner can take home and launder. During the next turnover the cleaner brings back the laundered items. 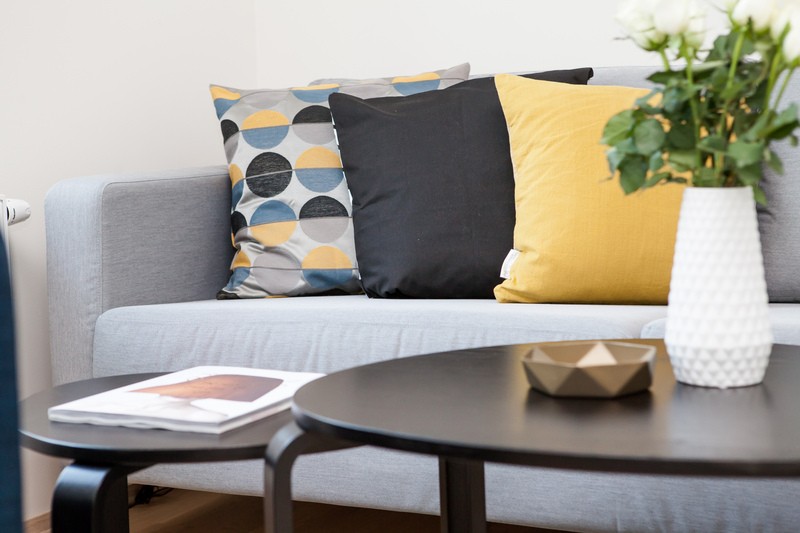 When it comes to decorative pillows and throws, it gets a little more complicated. Laundering a colorful pillow several times a week is time consuming. It may take several dryer cycles to fully dry. Repetitive wash and dry cycles will quickly result in a dull weathered looking pillow. One of our favorite short term rental cleaners advises to run the pillows in the dryer for ten minutes without washing them first just to make sure it feels fresh and to kill whatever bacteria or bugs it might have. To make it even more effective, experienced vacation rental cleaners know that throwing in a wet towel in the dryer along with the pillows will create steam that will ensure anything unwanted will surly be destroyed. Some guests are aware that some hotels and Airbnbs take the short route and do not clean bed covers and comforters. These guests will immediately strip the bed of any covers. To make sure you are getting credit for your efforts, consider leaving a note on the bed coverings ensuring the guest that it was throughly cleaned. Find a airbnb cleaner in your area today on turnoverbnb. Definitely a big help. Thumbs up for this article. Thanks!